Hello, here we are in London! We arrived yesterday afternoon, Saturday, after nearly 30 hours in transit. Our plane rides were fine but really long. We liked the entertainment system on the plane; Oliver watched lots of movies including: Jack, The Giant Slayer; The Hobbit, An Unexpected Journey; Wreck it Ralph; Lord of the Rings Parts 1 and 2; and Horrid Henry! We didn't like how long it took and the hot temperature of the plane. And Oliver thought the plane makes you feel really sick. We're staying in the Hotel Indigo in Paddington, which is great and really close to the Heathrow Express and the London Underground. We were super tired when we arrived around 2pm yesterday but decided to go out for a little while to get some fresh air. We didn't get much sun because it was pouring with rain! When we got off the Tube at Oxford Circus it was raining so hard that everyone was waiting on the stairs and wouldn't go out into the rain. But we had an umbrella! 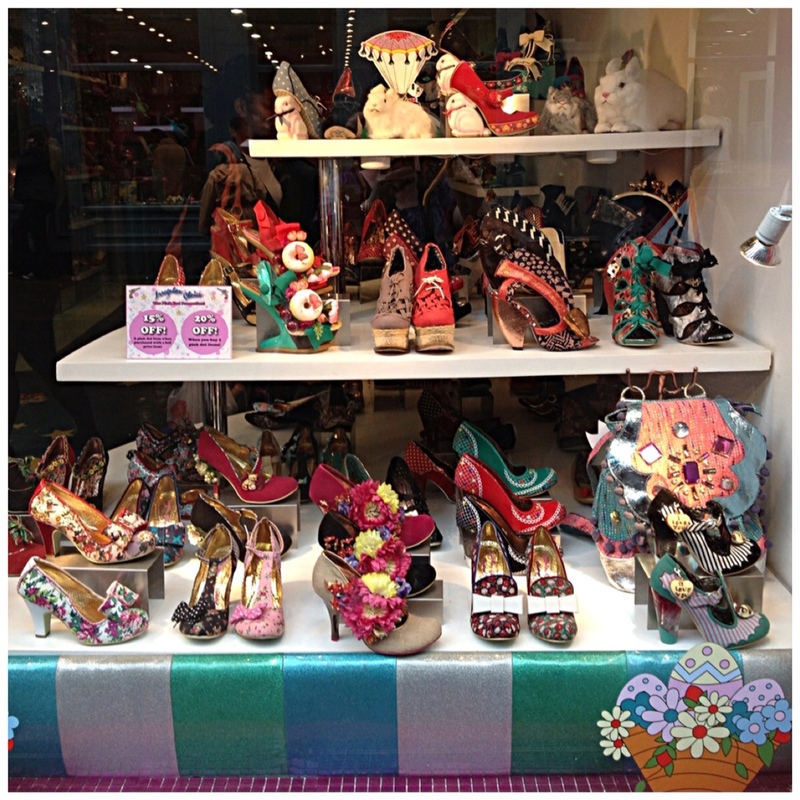 We walked along Regent Street, which has lots of beautiful stores and we went into Hamleys Toy Store. Hamleys calls itself “the best toy store in the world”. Oliver says “It is”! It is five stories high and packed full of games and toys, obviously, but also lots of staff demonstrating and playing with the toys, flying miniature planes or blowing bubbles at us. It was super busy. We took some pictures of Oliver on Level 5, which was the Lego level. 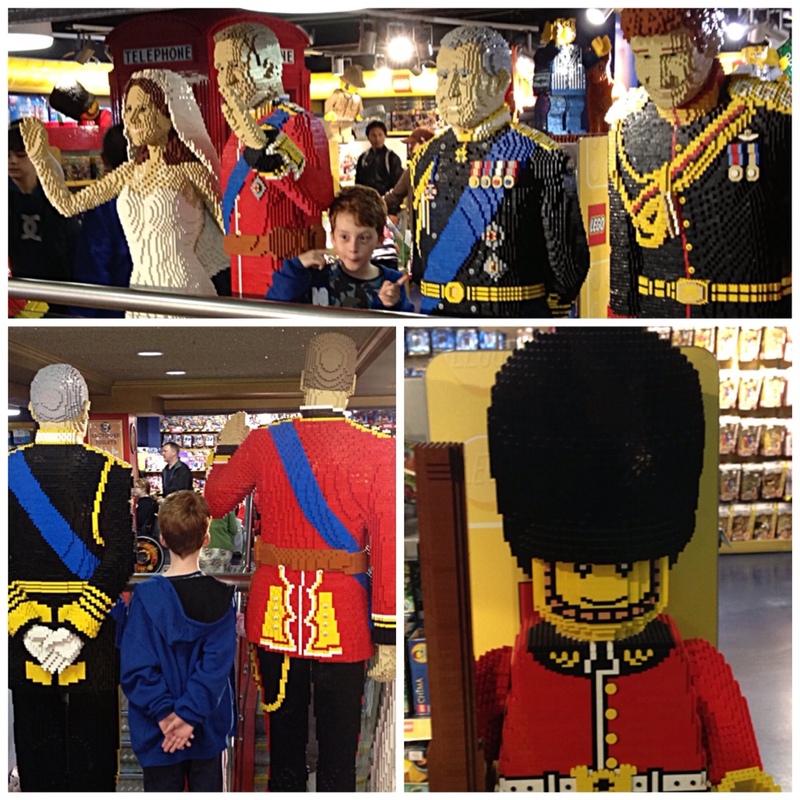 They had tall statues of the Royal Family made entirely out of Lego. Oliver bought some miniature knights, archers and Moors. 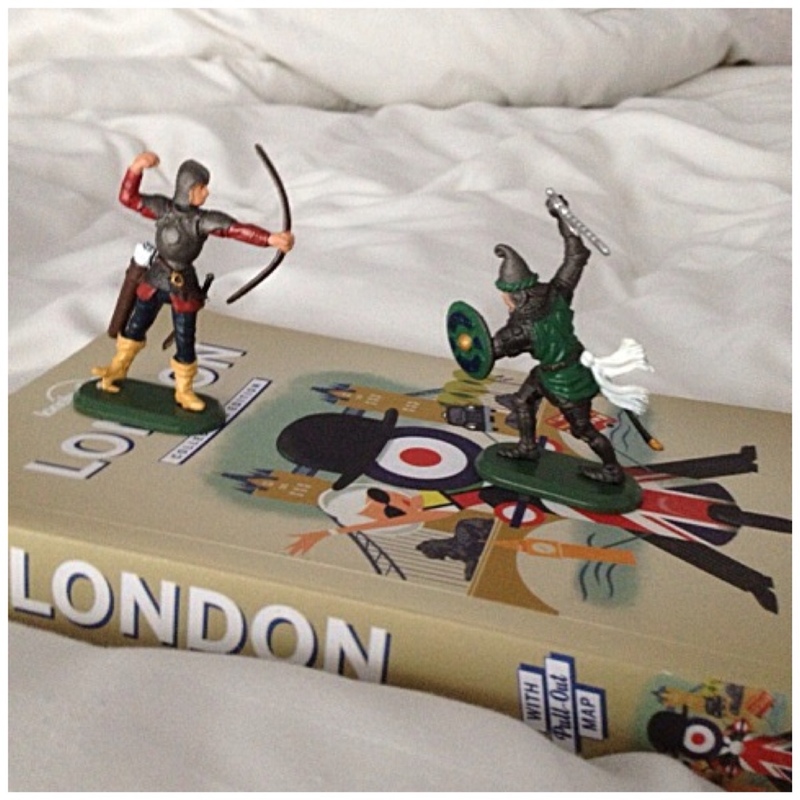 He also bought for Louisa some miniature London soldiers with '”the Queen dressed like a Prince”. We won't post a photo of those because they are a surprise! 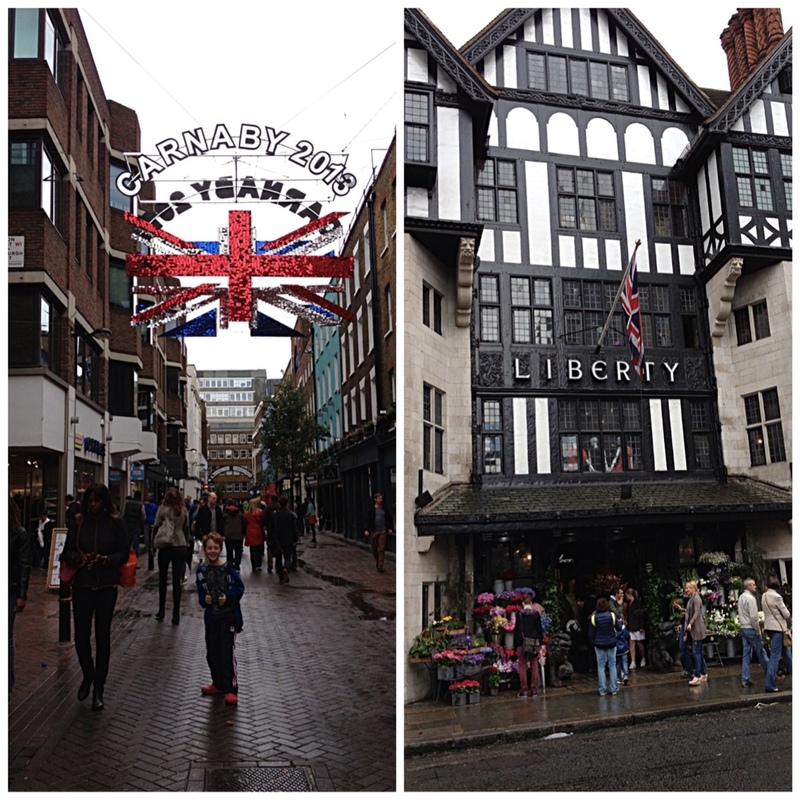 After Hamleys we walked along Carnaby Street, which is a famous street and has been decorated for the Queen's 60th Jubilee. It has lots of interesting stores with cool stuff. By this time we were EXHAUSTED and so caught the Tube back to our Hotel. Oliver was so tired that he fell asleep on the Tube but he doesn't remember it! We've had a good sleep though and this morning we are going to a sports store to buy some soccer kit. Then we're going to lunch and this afternoon to the British Museum or the Natural History Museum. Catch you later alligators! Thanks for reading! This entry was posted in Airports, In London, In transit, Out and about, Planes, Trains on June 16, 2013 by Amanda Barnier. Your information about London is great! I have some questions. What does your hotel look like, both on the outside and in your rooms? Also, do you miss your friends and family? Tell me lots of detail about these questions. Joe, asked if you could also take a picture of your hotel room. Reading about London is very interesting.